Within the snow storm of department store catalogs clogging your mail box with promises of the perfect Christmas gift, you may soon find a little booklet with gifts of hope. 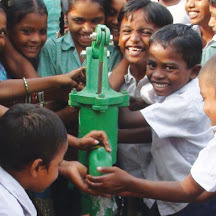 You and your family can purchase seeds for a school farm in Ethiopia, bore a well in India, bring comfort to a sick Colombian orphan, or help a struggling abandoned mother start a business. 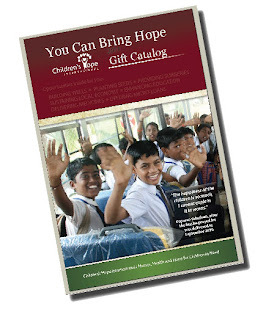 The Children’s Hope International 2011 orphan gift catalog helps you adopt a new perspective on how to celebrate Christmas. 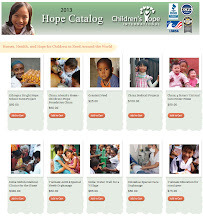 You can sign up to be included on the Children’s Hope Development Aid mailing list. For email updates from us, sign in here.